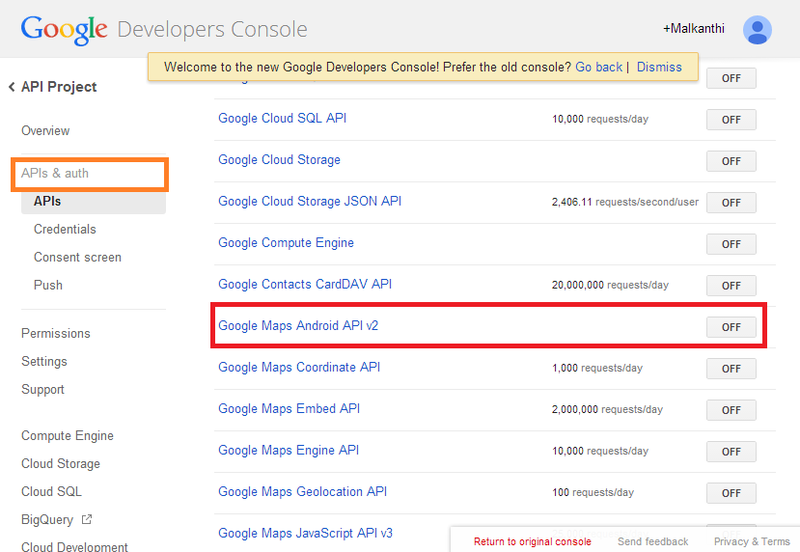 The Google Maps Android API v2 uses “SHA-1 certificate fingerprint” to obtain the API key. This SHA-1 fingerprint generate from keytool can only be used for testing and not for publishing the application. If you are using the Eclipse IDE, Goto Windows –> Preferences –> Select ‘Build’ under ‘Android’. You can get the SHA-1 fingerprint from there. 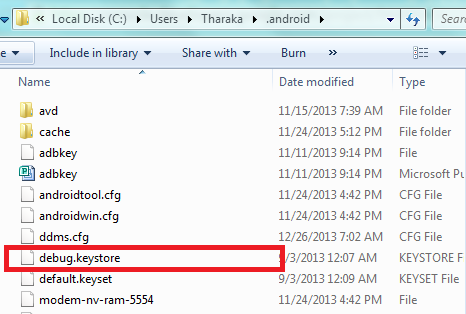 The .android folder at Users contains the debug.keystore file. 2. Open cmd from .android and enter the following command. 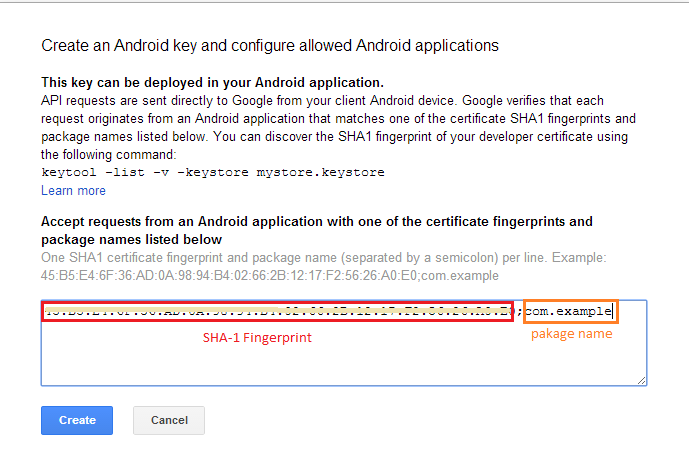 The SHA-1 fingerprint is used to register the application and to obtain the Map API v2 key. 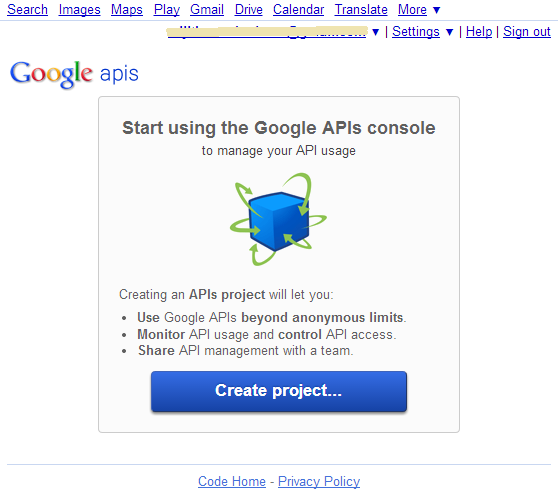 Goto –> Google API Console (https://code.google.com/apis/console/) –> Select “Create Project”. 2. 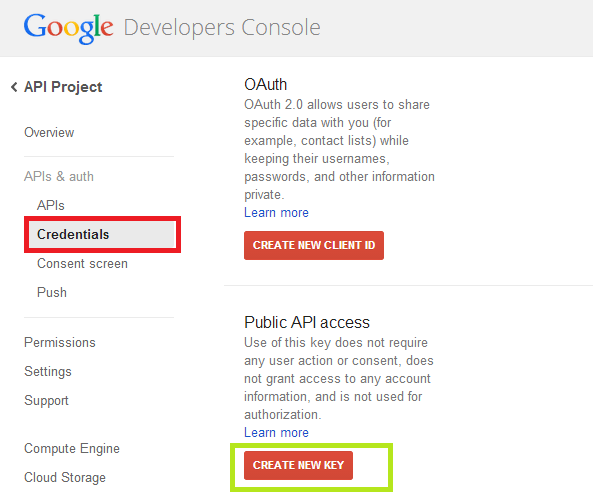 New “API Project” will be added to the “Google Developers Console”(redirect to page: https://console.developers.google.com/project ). 6. 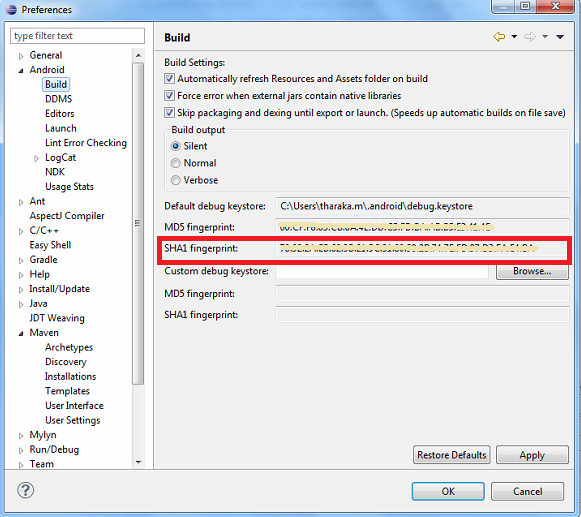 Add the “SHA-1 fingerprint” and the “package name” in the blank space according to the guidelines available. Click on “Create”. 7. 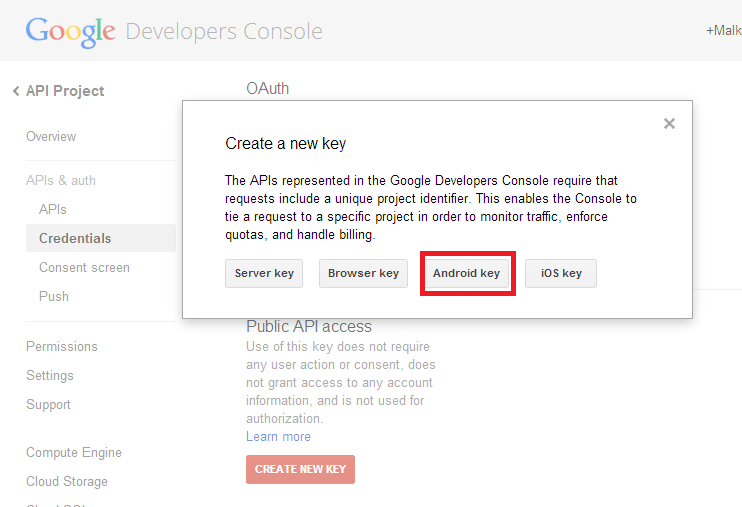 You will get the Key for Android application on the Google Console.